Come and join us to talk about what matters to people in Sheffield. Building on Sheffield City Partnership’s Framework for an Inclusive & Sustainable Economy, this State of Sheffield event is all about people’s real experiences of life in our city; rather than launching a 2019 report, we will be listening to people from across our neighbourhoods and communities talk about what Sheffield is like for them. The series of State of Sheffield reports has become a very useful resource, using a range of data sources and perspectives to pull together an overview of the city and building an evidence base over time. Each year we have explored different themes, with the annual launch event providing a great opportunity for stakeholders to come together to discuss the city’s challenges and opportunities in a variety of areas. But in 2019 we want to bring to life the issues which the reports and discussions have highlighted and fill in the gaps about life in Sheffield which the data alone doesn’t show. To do this, we have come together with a number of our partners to spend time engaging with different groups and individuals across Sheffield, discussing what works and doesn’t work for them. We’re going to collect and capture these conversations in a variety of ways which we will then present at the event, and we’d like to invite you to come together to hear these perspectives, reflect on the key messages, and help us identify the next steps we need to take together to respond. Introduction by Lord Blunkett, Chair of Sheffield City Partnership Board. Other speakers and full programme to be confirmed. More details and invitations to follow shortly so keep an eye on our website and Twitter feed. Imagine a Sheffield where everyone can access opportunities and services without transport or mobility constraints. Residents, businesses and visitors in our thriving city can safely move themselves and their goods or products with confidence and without delay. The negative impacts of transport, including air quality and noise are minimised and safety and quality of life is improved in the city as a result. This report explains the Council’s new Charter on cohesion: what it is, why we need it and what it will do. It includes shorter term integration focused actions and longer term cohesion focused actions. Partners in the city have worked with the Council throughout 2015, 2016 and 2017 to co-produce a new Community Cohesion strategy for the city. The strategy is known as Sheffield Together: The Sheffield Cohesion Framework. Sheffield City Council (SCC) is now being asked what specific actions it can contribute to the Framework which retains and builds community or social cohesion in the city. This document is a statement of actions. This charter document outlines the first set of actions the Council will carry out as an organisation to deliver more cohesion building activities. Additional actions will be created with partners over the next 3 years to form a set of linked cohesion action plans for Sheffield. 1. To adopt the Charter as the Council’s future approach to community cohesion work. 2. To agree to the listed actions in the Charter as the first set of actions for the new Sheffield City Council Community Cohesion and Integration action plan. 3. To note the approval of the Cohesion, Migration and Integration Strategic Group (CMISG), chaired by the Chief Executive, as the appropriate partnership group and accountable body for the new Charter and actions. 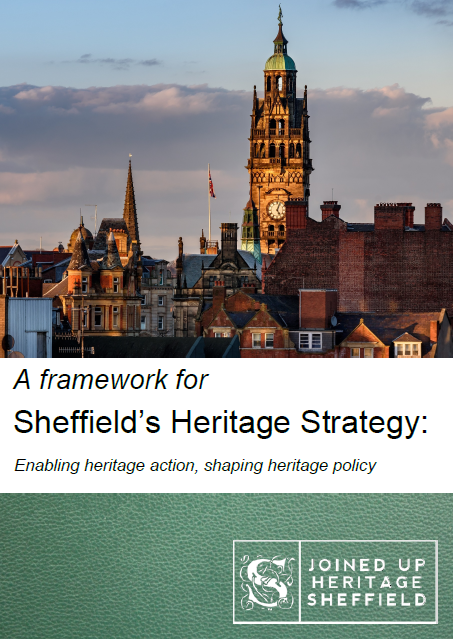 This document sets out the vision for a co-produced Heritage Strategy for Sheffield. The Strategy will enable communities and local groups to influence the development of policies designed to support managed change to the historic environment and increase opportunities for people to get involved, improve access to funding, and enable greater community-led heritage stewardship. This proposal is subject to ongoing discussion with key partners, including Sheffield City Council, with much detail yet to be agreed. However, the proposals outlined in this document are designed to provide benefits to the city’s heritage whatever the outcome of these discussions. The document sets out the group’s aspirational proposals for how the Strategy will be developed, in collaboration with local communities and these other important stakeholders. The final Strategy will be developed with key partners in the city and subject to a public consultation in due course. Join Sheffield City Partnership on Thursday 11th October 2018 at 6.00 pm to launch 'A Partnership Framework for an Inclusive & Sustainable Economy'. In Sheffield, making our city economy work for everyone is not a 'nice to have' or a welcome bonus. We want to work to put it at the centre of what we do, what we represent and what we strive for as a city. Sheffield could and should be a place where anyone who grows up or chooses to make their home here, regardless of their background or where they live in the city, has the same opportunities to access good and rewarding work, secure incomes, nice homes, good health, a safe environment, opportunities to learn and upskill, positive experiences of community, culture and nature, as well as being able to exercise power and influence over their lives, communities and city. This Framework is about expressing our ambitions to make Sheffield work better for Sheffielders. It is about coming together and mobilising around a set of long-established values for the city, to focus on shaping a Sheffield economy which will focus on including more people, and in so doing delivering better outcomes for us all. In this Framework we are going to set out the key principles which we, as partners in Sheffield, are going to commit to give our residents a better chance of having that life, with some clear next steps for how these principles are going to shape our policies and actions. Come and have your say as we begin the dialogue to build a shared action plan to take forward this Framework together. The Green City Strategy aims to reduce the city’s impact on the climate by becoming a zero-carbon city by 2050, taking steps to move to a low-carbon economy immediately. It also sets out plans to empower communities, residents, public sector and businesses to become resilient to climate change and ensure the city’s homes and businesses use sustainable and affordable energy. It will enable modern, reliable and clean journeys for everyone, ensure air is clean for all and create a green and innovative economy by supporting Sheffield businesses to become more energy efficient and delivering new low-carbon jobs for local people. Green City Sheffield builds upon the work of the Sheffield Green Commission. During 2015 Sheffield City Council facilitated the city’s first Green Commission. This independent commission was made up of key leaders and stakeholders from across the city, including business, industry, our universities, the public sector and the voluntary and community sector. The Green City strategy will initially result in a city–wide Sustainable Energy Action Plan and signing-up to a recognised carbon reporting framework. By 2020, the Council will have achieved a 30% reduction in carbon emissions, and, in the next seven years, the Council and its partners will have substantially increased the level of low carbon and renewable energy generation in the city. Voluntary Action Sheffield are looking for sponsors for The Make a Difference Sheffield Awards taking place in the Autumn. This year they want to reach more people to celebrate the 'quiet heroes' in our city and the contribution they make to changing people's lives. Heart of the City II is one of Sheffield’s key economic projects. Backed by Sheffield City Council alongside its strategic delivery partner Queensberry, the scheme will provide a dynamic and vibrant mixed-use district in the heart of the city centre and make Sheffield an even more exciting and interesting place to live and work. The Heart of the City website contains more information and will give details of the upcoming pre-application public consultations once dates and venues have been finalised. Here's the first view of the cover design for the 2018 report. Launch date Friday 9th March. Join us for the launch of the State of Sheffield 2018 Report on Friday 9th March, 10.00 am - 12.00 pm at Hallam Hall, Sheffield Hallam University, Howard Street, Sheffield S1 2LX. The State of Sheffield report provides an overview of the city, describing how things are, how things are changing and how Sheffield compares to other similar places. It is not based on one single organisational perspective, but instead uses a wide range of existing data sources and reports. It is the only report that brings together information on developments in Sheffield to reflect on city-wide issues and trends. The purpose of the report is to inform anyone with an interest in how our city is performing, including the city leaders on the Sheffield City Partnership Board, about the shared challenges and opportunities facing the city, and highlight future priorities to pursue. There will be contributions from The Chair of Sheffield City Partnership Board, Lord Blunkett of Brightside & Hillsborough, Editor of the Report Professor David Robinson from The University of Sheffield and Laura White, Partnership Manager. Other contributors to be confirmed. Our colleagues at Cohesion Sheffield are holding a conference on Wednesday 21st March 2018, 10 - 4, in the Town Hall. Hear about the achievements of various organisations on making cohesion work in our communities in Sheffield. They will be celebrating the achievements of the city bringing together the Voluntary, Community, Faith, Statutory and Business sectors with updates and a vibrant panel of experts. Most importantly, the day will include workshops for you to share your views and help shape a more cohesive Sheffield and explore what really matters to our Sheffield communities, with lunch provided. Many thanks to everyone who was able to join us last night, either in person or via live stream, to hear Ted Howard, Lord Blunkett and Laura White talk about an Inclusive & Sustainable Economy and the work of Sheffield City Partnership Board. Following on from the event we are interested in understanding what an inclusive economy looks like to you, what your ideas are for Sheffield, and whether (and how) you would like to be part of the ongoing work with Sheffield City Partnership Board. Join us from around 6.15/6.20 pm to share in the event with Ted Howard of The Democracy Collaborative discussing Inclusive Growth possibilities for Sheffield. How can we build an inclusive and sustainable economy for Sheffield? We would like to invite policy makers and residents to join us for an evening of debate, discussion and inspiration, to help us develop ideas and next steps together. The inspiration will be provided by Ted Howard, of the Democracy Collaborative, Cleveland, United States. Ted will be talking to us about the work that he has been involved in, in the US and around the world, helping local institutions and communities work together to grow more inclusive economies, with better outcomes for local people. Alongside this we will be discussing Sheffield City Partnership's work and what this all means for Sheffield with our Chair, Lord David Blunkett. We will also be inviting thoughts and questions from attendees. Professor David Robinson has agreed to act as Editor and Spokesperson for State of Sheffield 2018. 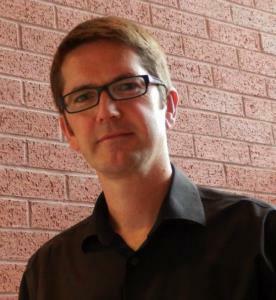 Professor Robinson was previously the Director of CRESR at Sheffield Hallam University and is now in the Department of Geography at the University of Sheffield. He is very enthusiastic about the project and will be an excellent advocate. We are in the process of confirming authors, advisers and sponsors for all of the chapters of the 2018 report. The RSA Inclusive Growth Final Report (making our economy work for everyone) launched on Tuesday 7th March. The report considers evidence reviewed by the Commission through the course of its inquiry, which included evidence hearings, written submissions, research visits, seminars and policy and citizen engagement. It sets out a framework and recommendations for achieving inclusive growth. These are addressed equally to central government and to councils and UK city regions, many of which are on the threshold of important metro mayoral elections.